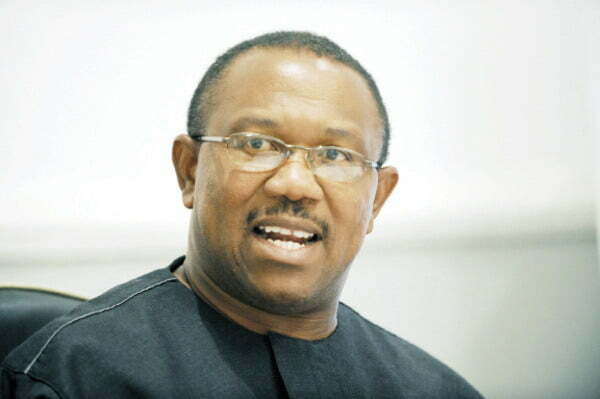 Donatus Nwankpa, the Abia State chairman of the All Progressives Congress, APC, has declared that the emergence of Chief Peter Obi, as the running mate of the Peoples Democratic Party, presidential candidate, Alhaji Atiku Abubakar, will not have any impact in south east zone come 2019. Nwankpa said the former Anambra Governor lacked the political clout to command followership in the zone. The former Abia lawmaker, who stated this in a chat with DAILY POST on Sunday, maintained that APC will sweep the entire south east in the upcoming general elections. He said, “I want to tell you that Peter Obi is not a household name that can cause an earthquake. He is just like any other ordinary person that would have been chosen by Atiku Abubakar. “Because, I don’t know how many Abians today will say ‘I’m voting because of Peter Obi.’ Peter Obi has no impact in anything that happens in Abia. He has no impact in anything that happens in Anambra”. “Even the Anambra, where he came to support a governorship candidate, he lost. And he has not made any impact in Enugu. He has not made any impact in Ebonyi state. The name, Ogbonnaya Onu rings better than Peter Obi. The name, Chris Ngige touches beyond immediate Anambra environment than the name, Peter Obi”. “So, what are we talking about? If Peter Obi had been in APC, it would have been a second in eleven from the South east zone”.